Split Deterioration / Incinerated will be out later this year! Continue reading Split Deterioration / Incinerated will be out later this year! Deterioration/Inopexia Split Tape Fiend “Derailed” Tape Warfair? 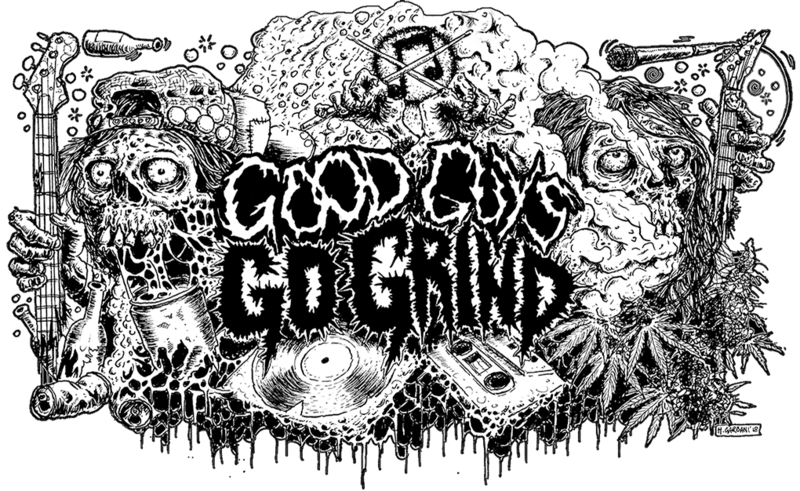 – “From Inception To Disentigration – Discography” Tape Excruciating Terror – “Legacy Of Terror Sessions” Tape Deterioration – “The Power Of Positive Thinking” Tape Deboned – Demo tape For more info just visit www.grindfatherprod.com Continue reading Still available thru Grindfather prod! Deterioration & Hallucination Realized on tour! Continue reading Deterioration & Hallucination Realized on tour! First look at Deterioration / Hallucination Realized split 7′! Continue reading First look at Deterioration / Hallucination Realized split 7′! The “Lupara Bianca” Ep is out! You can check it HERE! Continue reading New record from Deterioration! Here`s first look at Nakay / Deterioration split! This misanthropic piece of noise will be out somewhere in 2018 at Psychocontrol rec and Haunted Hotel records! Continue reading Here`s first look at Nakay / Deterioration split! Continue reading Chimpy Fest 2018! event page Continue reading Rapid Decay Fest! Continue reading Rapid Decay Fest!